Do you jump in the shower? Make some coffee? Do you grab your phone and scan your email? Do you meditate or read or write down what you dreamed about? 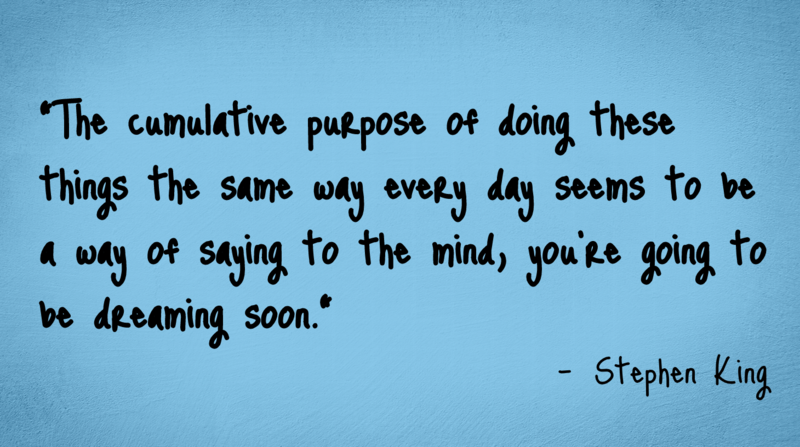 Our little habits are so interesting, aren’t they? We all have them. Whether we’re aware of them or not, our routines have a profound impact on our health, productivity and creativity. The logic is this: the more we routinize our activities, the less decisions we have to make. The less decisions we have to make, the more energy we have to spend on important things (it’s the decision fatigue phenomenon). It’s why Stephen King is so particular about his writing environment. 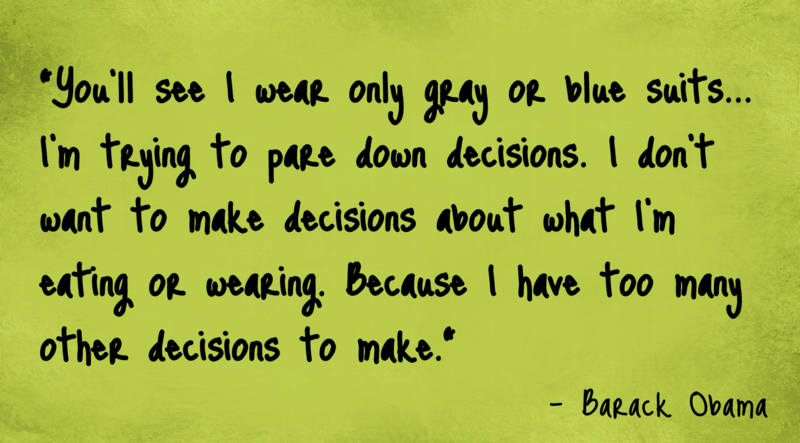 And why Albert Einstein wore the same baggy sweater every day. Same with Steve Jobs and his jeans and mock turtleneck. They all saw the value in preserving their mental and creative energy. Routines have health benefits too. The body craves consistency. It wants to know when it will get its next meal or workout or rest. If you have children, you’ll understand the importance of familiar schedules and environments. So it’s just as important for us adults to pay attention to when we sleep, eat, exercise and manage stress, and not just how well we do those things. Now I’m not about to go schedule every waking minute of my day. That would be a pointless exercise. Instead, I’m creating solid morning and nighttime routines. 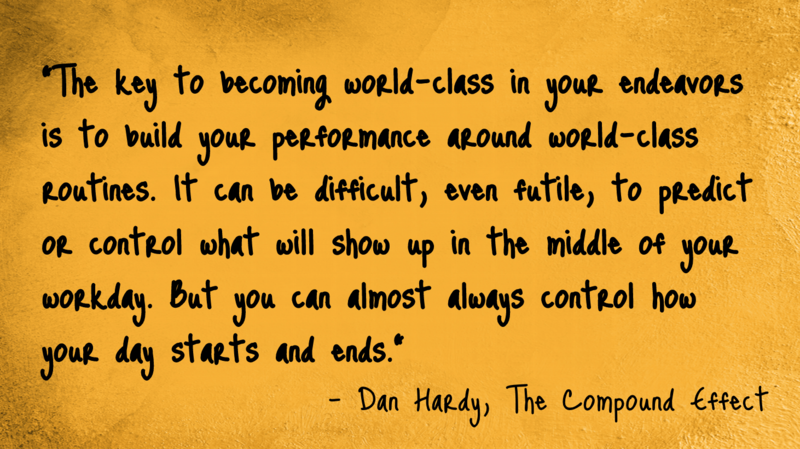 Dan Hardy, author of “The Compound Effect” calls morning and bedtime routines the bookends of a successful life. I like this idea because while I’m pretty good about to do lists, batching my activities efficiently, and scheduling my day, I still waste a lot of the time I have to myself. Most mornings I wake up early with every intention of jotting down my dreams, meditating, practicing writing, and drinking my 8oz of water. Most mornings, I succumb to the warmth of my bed and the sight of my iPhone sitting just inches away on my dresser whispering to me – come on, just a quick little peek. The next thing I know, the kids are awake, the house is chaotic and I haven’t done a damn thing. So it makes perfect sense to schedule certain activities, activities that we deem important, for the first and last minutes of the day. They’re not foolproof, but they are easier to control and offer fewer distractions. I’m not exactly jumping out of bed in the morning to begin my routine, but hopefully soon, I’ll get to a point where I can wake up and do these things out of habit. Because once I’m done, I do feel quite accomplished knowing that I’ve done the important things and done them well. It really is a great way to start the day. If you enjoyed this post and want to receive more like it, just enter your email address below and you’ll get one new post every Thursday. That’s it.